Viknesh Vijayenthiran April 3, 2018 Comment Now! Though still carrying a lot of camouflage, the prototype reveals a new, more dynamic look dominated by the pronounced shark nose hood and grille treatment. 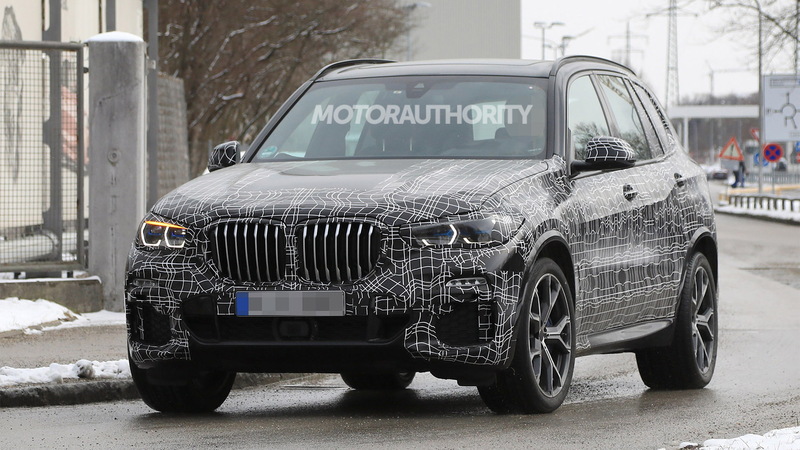 It also reveals that the redesigned X5 will grow in size compared to the third-generation model currently on sale, which should lead to more interior space. 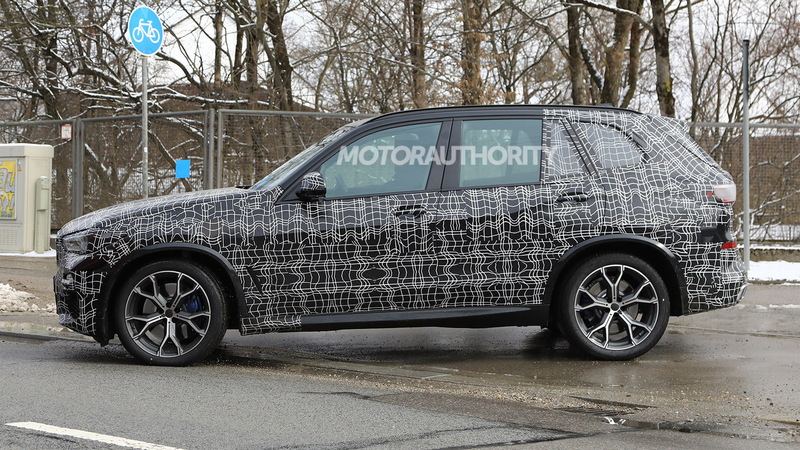 2019 BMW X5 spy video from Motor Authority on Vimeo. The third-gen X5 was introduced for the 2014 model year but its underpinnings are shared with the second-gen X5 on sale since 2007. This fourth-gen model, which we’re currently expecting to arrive in showrooms in late 2018, as a 2019 model, won’t have anything in common with its predecessors. 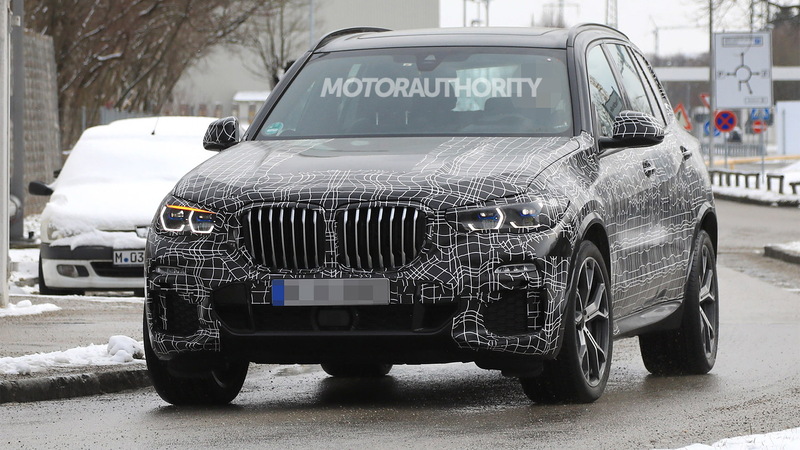 It will ride on the SUV version of BMW’s modular platform that debuted in the 2016 7-Series and has since appeared in the 2017 5-Series. Referred to internally as a CLAR, short for Cluster Architecture, the platform combines lightweight materials such as aluminum and magnesium—and carbon fiber in the case of the 7-Series—with conventional steel to save weight while increasing rigidity and strength. The SUV version of the CLAR platform made its debut in the redesigned 2018 X3. The platform is also pegged for the new X7 full-size SUV that BMW has confirmed for launch in 2018. One of the reasons for the speedy arrival of the redesigned X5 is to streamline the production process. The CLAR-based SUVs will all be built at BMW’s plant in Spartanburg, South Carolina. We’ve also heard that the current X5 is facing stiff competition from newer rivals like the Audi Q7 and Volvo XC90. Powertrains in the redesigned X5 should align with the redesigned 5-Series, meaning a choice of 4-, 6- and 8-cylinder engines. A plug-in hybrid should also form part of the portfolio and there will almost certainly be M Performance and dedicated M versions. 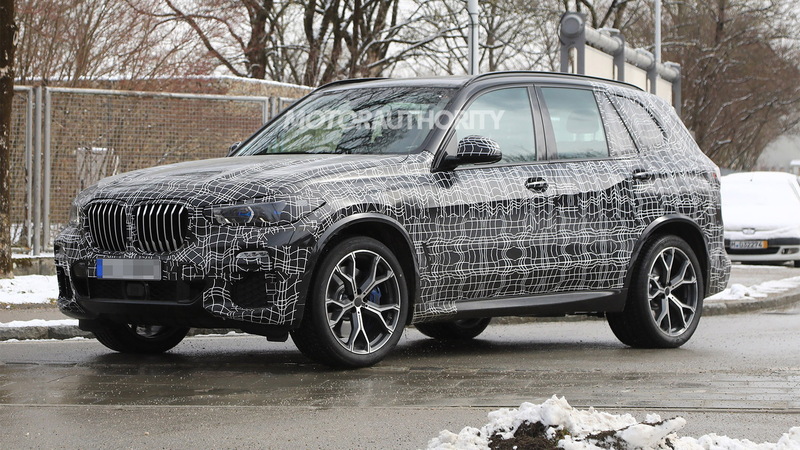 In fact, a prototype for the new X5 M has already been spied. Beyond the redesigned X3 and X5, and new X7, BMW has also just added a new X2 and a redesigned X4. 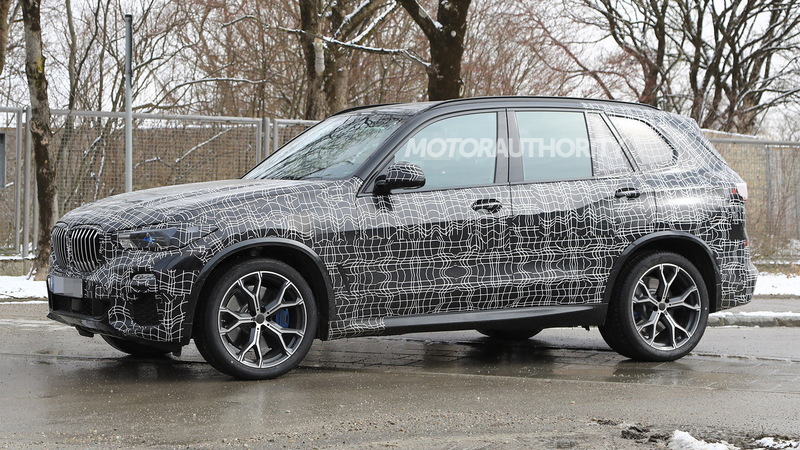 The automaker should also be adding a redesigned X6 in the next couple of years.